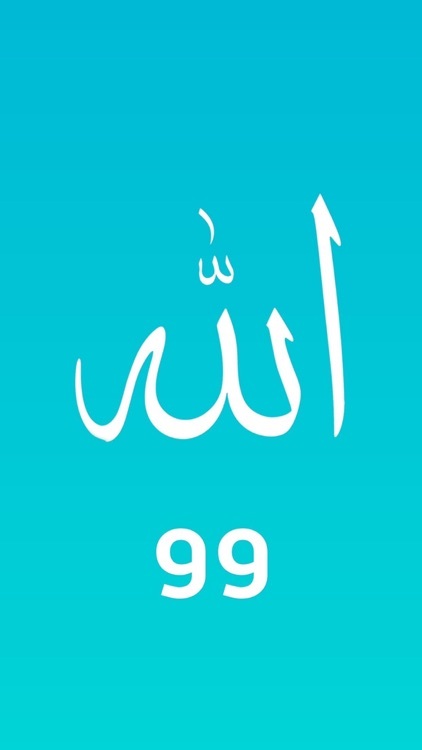 99 Names of Allah - Asma-ul-Husna, Can read and listen 99-Names of Allah with nice Audio with synchronized Asma ul Husna Names. 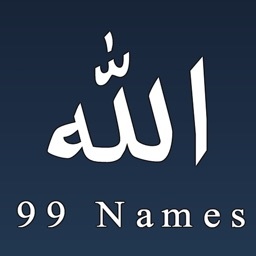 The 99 names of God in Islam (or the 99 names of Allah; Arabic: أسماء الله الحسنى‎ 'asmā' allāh al-ḥusnā) are the names by which Muslims regard God. Among other places, they are described in the Qur'an and Sunnah. 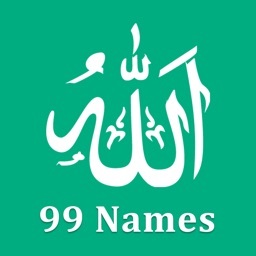 There is, according to hadith, a special group of 99 names, but no enumeration of them. Thus the exact list is not agreed upon, and the names of God (as adjectives, word constructs, or otherwise) exceed a total of 99 in the Qur'an and Sunnah. According to a hadith narrated by Abdullah ibn Mas'ud, some of the names of God have also been hidden from mankind. 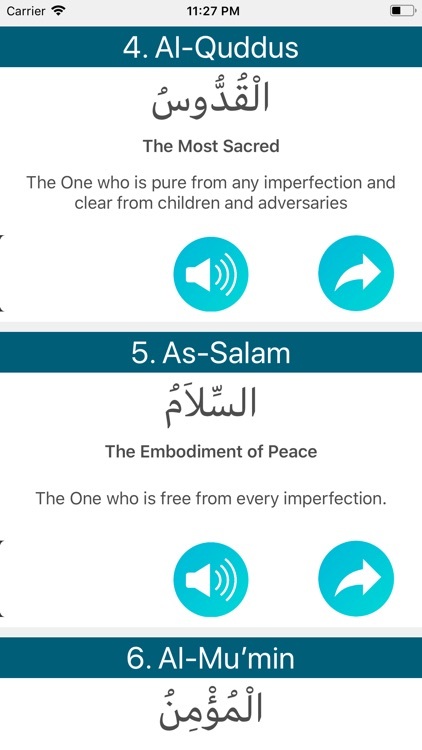 • Complete details of Allah Names in English. 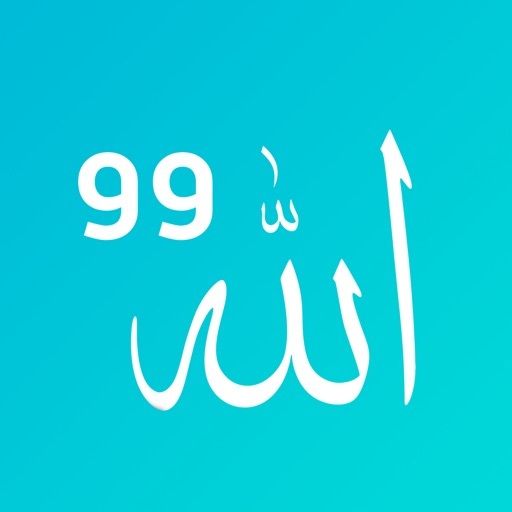 • This application provides 99 Names of Allah with their meanings. • You can share with friends via email and also can copy the content to be used later. • Also provide sounds of all names of Allah and play them separately. 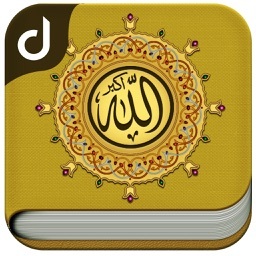 • Listen to Arabic audio narration in spiritual style. 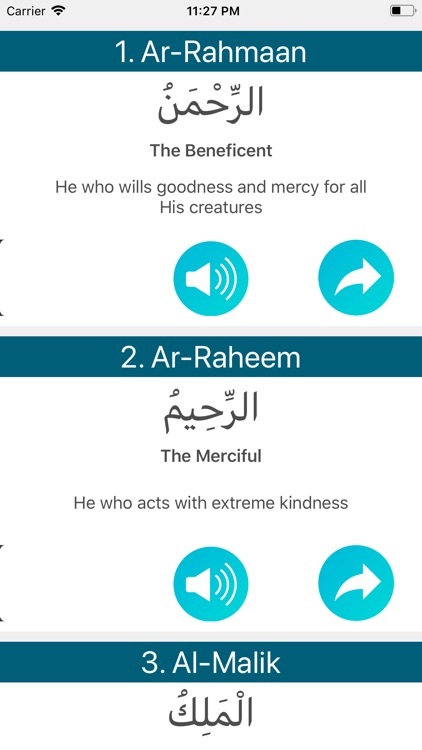 • Provides the list as well as detail with the meaning of Allah and audio to play. 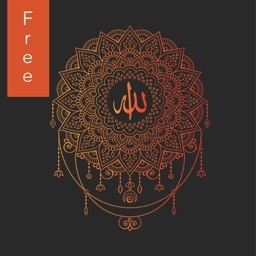 • Free to use and also can listen all the Allah Names sounds for free.